If you are facing legal dilemmas related to family law, criminal defense, or personal injury it is important to contact a skilled attorney to discuss your case. Our goal is to provide the exceptional customer service that our clients have come to expect. We strive to build a reputation around personal service, individual attention and a dedication to meaningful communication with our clients. Clients trust us to explain the legal process and the challenges they might face in their cases. The lawyers at the Jimenez Law Firm are proud to provide in-depth care and personalized service. Family law, criminal defense, and personal injury matters can have serious consequences on the rest of an individual's life. Our attorneys understand the concerns you are facing, and will guide you through the process in an effective and efficient manner. The Jimenez Law Firm maintains offices in both North Texas and West Texas for the convenience of its clients. 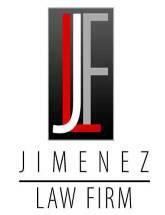 Do not hesitate to schedule a free initial consultation with the Jimenez Law Firm in English or Spanish.